Fun, great tasting wines. Made with fresh Fugly Fruits our wines will compliment any meal or occasion and are sure to be a topic of conversation at any party or family gathering. 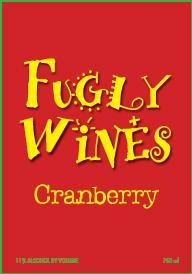 In addition to Fugly Fruits and Veggies look for Fugly Wines at your favorite grocers. Passion Fruit Wine - The passion fruit was given its name by Jesuits, who used it to portray Christ's passion to the Indians whom they were trying to convert. Now, how crazy was that? Almost as crazy as converting passion fruit into Passion Fruit Wine, but we did it. We made a wine that is tart and bright and pairs well with any food. A sultry wine to have with any meal that features seafood or has a main entree with a sauce. It's a wine that is also a great complement to many cheeses and desserts. 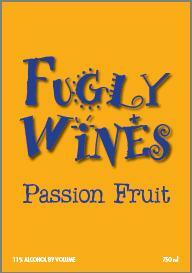 Be sure and share Passion Fruit Wine with your friends, because everyone needs a little passion. Cranberry Wine - Most people look at cranberries and think, "Holiday Season". We look at those bright, red beauties and think, "Holiday Party". They look so festive in their little, red suits that we just had to make them into Cranberry Wine. This light red wine has a fresh and crisp flavor. A flavor that will enhance your favorite foods... Especially the traditional meals at Thanksgiving and Christmas of turkey, mashed potatoes, gravy, and of course pumpkin pie. We think this wine is so refreshing that you'll be sure to ask for another helping of "Cranberries" this holiday season.